Cherry blossoms also known as Sakura are a big deal in Japan. Everybody is looking forward to viewing the cherry blossoms which magically delight people’s minds. For those who want to know how much Japanese people love this one week long event, read “Cherry Blossom Fever in Kyoto“. 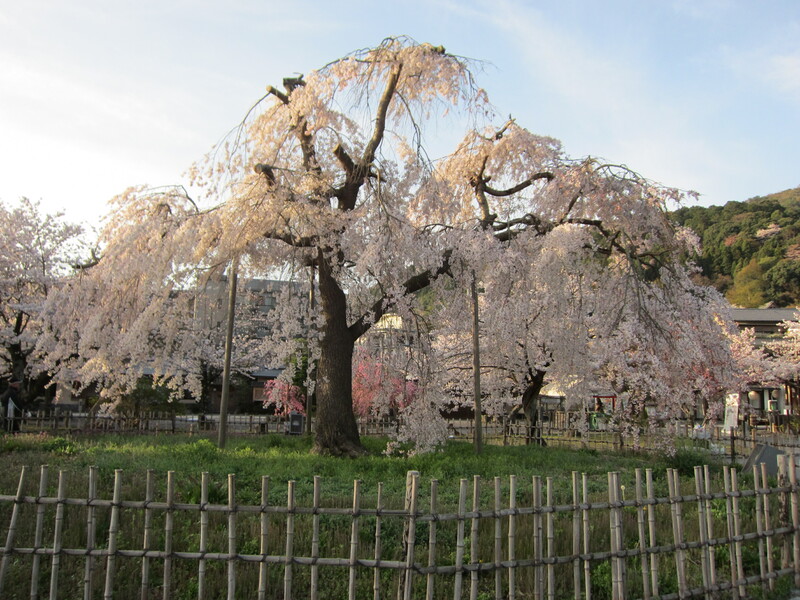 And Kyoto can be considered the capital of Sakura, since there are many spots where the cheery blossoms can be seen. For example, Philosopher’s Path, Maruyama Park, Imperial Palace and Nijo Castle are all very popular and attract tourists from all over the world. However, it is very difficult to guess when this beautiful season starts and ends. According to this year’s forecast by the Japan Weather Association, it will start at the normal time, which means that in Kyoto, they will start blooming at the end of March. They will keep their flowers for about ten days, therefore it is still possible to see them in the second week of April (April 7th – 13th). However this is still a guess. It’s done by professionals, but still a forecast. If the weather changes dramatically next week, it might affect the starting period. The first weekend of April is one of the busiest seasons for hotels in Kyoto. It is highly likely that all the hotels are already fully booked. However, there are several rooms available on weekdays (April 7th -). These rooms will be reserved soon, thus for those who are inclined to visit Kyoto this season, be sure to make a reservation right away. For more information, please check our Kyoto e-Guidebook, which focuses on making your trip fun, memorable and stress-free in addition to giving information.